On an annual basis, J.D. Power surveys tens of thousands of original owners of 3-year-old vehicles in order to learn what has gone right and what has gone wrong with their cars, trucks, SUVs, and vans during the prior 12 months. This information is collected, analyzed, and reported in the Vehicle Dependability Study (VDS). Based on this information, J.D. Power also creates Vehicle Dependability ratings, providing used vehicle shoppers with a summary of the study’s findings. Expressed as a number on a 10-point scale, the ratings reflect how dependable a used vehicle is likely to be based on the data collected from original owners of the makes and models. Consumers can use the ratings to make a more informed purchase decision. Listed below in alphabetical order, and according to the findings of the 2019 VDS, this guide includes those 2016 model-year luxury coupes and convertibles that receive a Vehicle Dependability rating of 9 or 10 out of a possible 10. Equipped with seating for four people, the 2016 Audi A3 Cabriolet was available with Premium, Premium Plus, and Prestige trim levels. A 170-horsepower, 1.8-liter turbocharged 4-cylinder engine powered the front wheels, while an available 220-hp, 2.0-liter turbo four came exclusively with Quattro all-wheel drive. Just a year after its debut, Audi made few changes to the A3 for 2016. The standard Premium trim gained more standard equipment, and a new S-line appearance package made the car look sportier. The 2016 Audi A3 receives a Vehicle Dependability score of 9 out of 10. With the cancelation of the racy RS 5, the 2016 Audi A5 lineup included the turbocharged 4-cylinder A5 and the supercharged V6 S5 in both coupe and convertible body styles. Quattro AWD was standard on all of them. Audi also dropped the Prestige trim level for 2016, leaving Premium and Premium Plus variants with extra equipment. Audi dressed up the A5 with a standard S-Line appearance package, too. The 2016 Audi A5 receives a Vehicle Dependability score of 10 out of 10. BMW’s zippy little 2 Series came exclusively in coupe and convertible body styles. The 228i had a 240-hp turbocharged 4-cylinder engine, the M235i included a 320-hp turbocharged 6-cylinder, and the wickedly quick M2 (new for 2016) supplied 365-hp from its massaged turbo six. Naturally, a manual gearbox was standard, powering the rear wheels. An automatic was optional, as well as an all-wheel-drive system. In addition to adding the M2 to the 2 Series lineup, BMW also expanded its xDrive AWD system to the M235i convertible. Both the 228i and M235i gained standard equipment for 2016. The 2016 BMW 2 Series receives a Vehicle Dependability score of 9 out of 10. Remember the BMW 3 Series coupe and convertible? By 2016, they were known as the 4 Series coupe and convertible, sold as the 428i, 435i, and M4. All three of them gained standard equipment for the 2016 model year, while the 428i and 435i received enhancements to the active parking assist system and a new Track Handling Package. A turbocharged 4-cylinder engine powered the 428i, while the 435i had a turbocharged 6-cylinder engine. The raucous M4 released 425 hp from a twin-turbo six. Manual, automatic, and dual-clutch transmissions were available, and both the 428i and 435i could be fitted with BMW’s xDrive AWD system. The 2016 BMW 4 Series receives a Vehicle Dependability score of 9 out of 10. Two of the four members of the family, the Mercedes-Benz E-Class coupe and convertible came in E400 and E550 model series, and the automaker made no changes of note for the 2016 model year. The E400 derived power from a turbocharged 3.0-liter V6 making 329 hp, while the E550 featured a turbocharged V8 good for 402 hp. All-wheel drive was an option. For chilly days, the convertible facilitated top-down driving with a power air deflector and a neck-warming heater called AirScarf. The 2016 Mercedes-Benz E-Class receives a Vehicle Dependability score of 9 out of 10. When people think “Porsche,” a 911 is likely to come to mind. The model dates back to the early 1960s, and it is easy to see the original’s lineage in the modern version of the sports car. Offered as a coupe or a convertible, the Porsche 911 came in a dizzying array of variants with differing bodywork, drivetrains, and performance capabilities. What they had in common was a horizontally opposed 6-cylinder engine mounted at the rear of the car, a manual or automated manual transmission, and rear-wheel or AWD drive. For 2016, Porsche expanded the lineup with Targa GTS and GT3 RS variants. 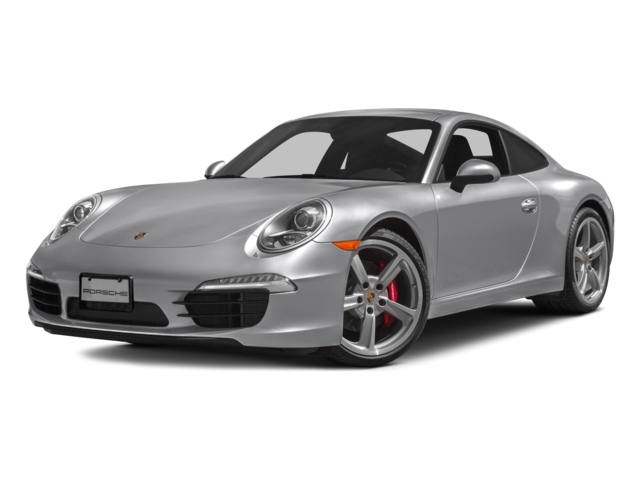 The 2016 Porsche 911 receives a Vehicle Dependability score of 10 out of 10, and receives an award for being the most dependable model in the J.D. Power 2019 VDS, regardless of segment.